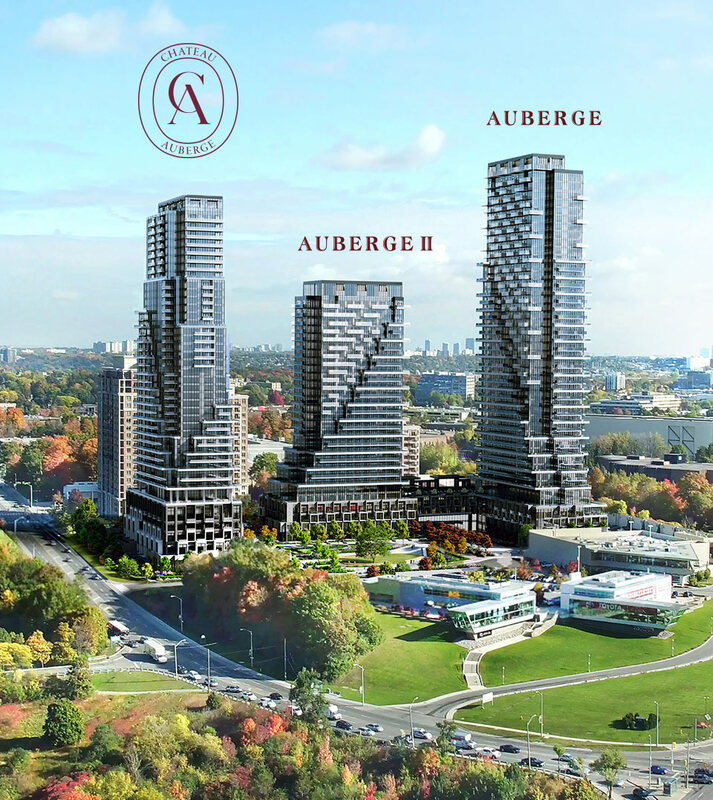 Welcome to Chateau, the third and final building to rise in Auberge on the Park. A masterfully-built condominium immersed with glamour, elegance and beauty, while preserving its roots in style, function and form. A truly elevated living experience woven into a network of sprawling parklands, where sweeping cascading terraces overlook 27,000 sq. ft. of verdant greenspace amid breathtaking views of the skyline. 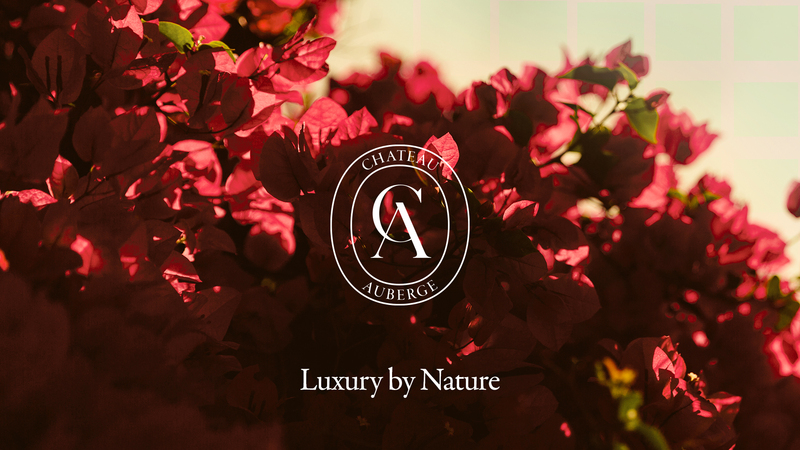 Chateau&apos;s French-infused, spacious, and open-concept suites provide a warm, modern and elegantly chic place to gather, get comfortable and feel at home. Enjoy stunning views of the city and foliage courtesy of expansive windows add an overall sense of grandeur and depth to your airy and elegant space. Make a grand entrance each time you return home to the exquisite glass-encased two-storey lobby that evokes a dreamlike romance that stirs curiosity and awakens the senses. The verdant pull of park space is truly irresistible. Find yourself living amidst a vast network of lush parklands and hectares of greenspace that are begging to be explored. 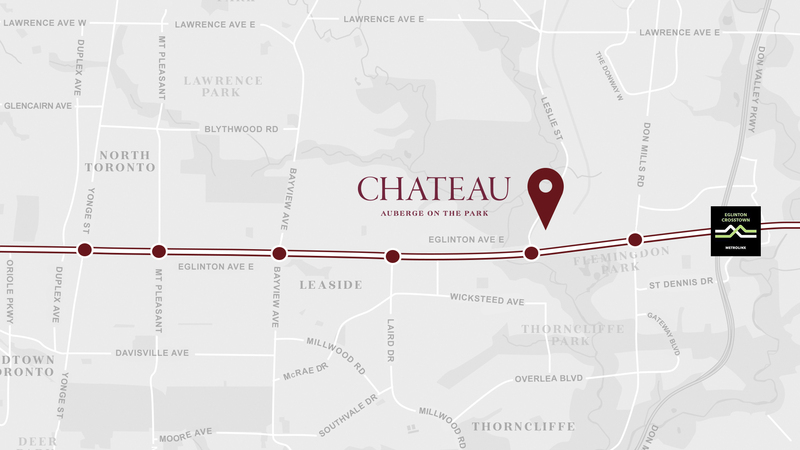 Not only is the Don Valley Parkway, Hwy 404 and the Bayview Extension just a few minutes away, Chateau is located neatly along the future Crosstown LRT as well. The future Crosstown LRT will feature an accessible, surface-level stop right at Leslie and Eglinton,a mere 5-minute walk. Eight Decades Of Home Building. Over 80,000 Homes Built. 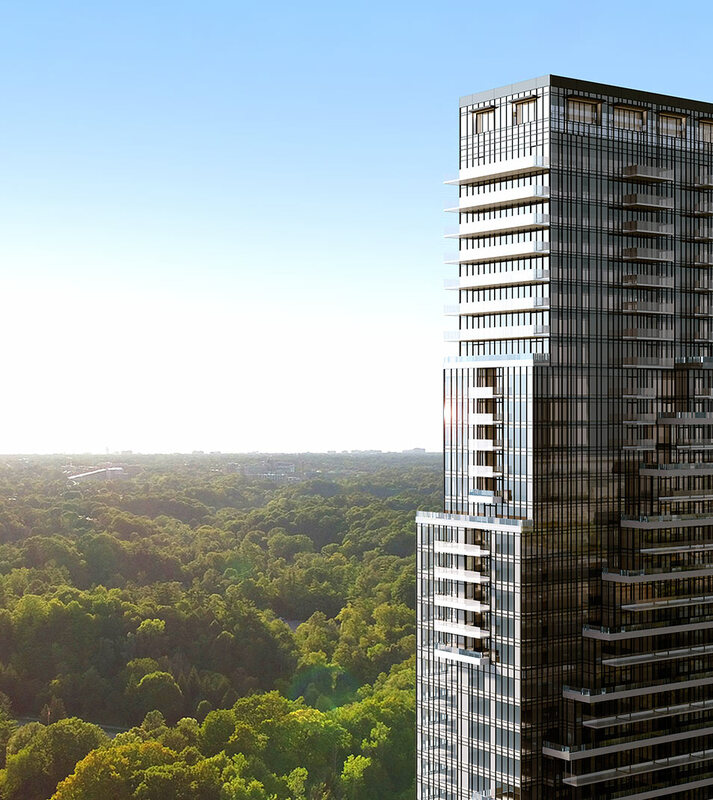 Tridel Communities Are Built Green Built For Life®. **Source: www.metrolinx.com, such information is for information purposes only and has been provided as a public service by the website. The Vendor does not represent or warrant that any content of the website is accurate, current or error-free. The Vendor shall not be liable or responsible for any warranties or representations made by Metrolinx in terms of the creation and completion of the proposed crosstown LRT and related stations. Illustrations are artist&apos;s concept. Map not to scale. ©Tridel 2019. 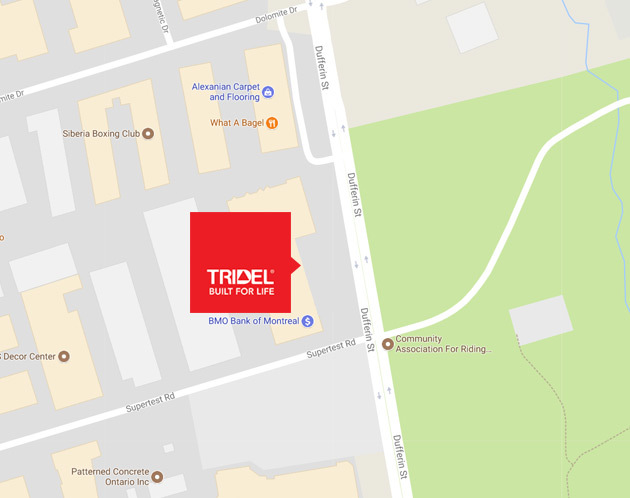 ® Tridel and design, design, Tridel Built for Life, Tridel Built for Life & Design, and Built Green Built for Life are registered Trademarks of Tridel Corporation. Project names and logos are Trademarks of their respective owners. All rights reserved. E. &O.E. February 2019.